Twice in a short space of time a 29-year-old man, who was nearly five times over the drink driving limit, caused accidents in Lurgan, Craigavon Magistrates Court heard last Wednesday. Paul Moffett, Edenderry Gardens, Banbridge, was banned from driving for three years, fined £250 and ordered to pay a £15 offender’s levy for driving with excess alcohol on September 14 this year. As well he admitted two charges of driving without due care and attention on the same date. For the first of them he was fined £100 and banned for three years while a £150 fine and a concurrent three year ban were imposed for the second offence. The court heard that a motorist on the Malcolm Road in Lurgan at 3.05pm felt a gentle bump to the rear of his car from the vehicle behind. He got out and spoke to the driver who was the defendant. Moffett’s hands were shaking and the man asked him if he was drunk and he replied he wasn’t. Moffett drove off at speed and minutes later on the Banbridge Road he crashed into the rear another vehicle. 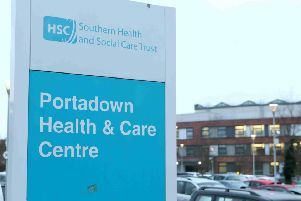 The injured party had to be taken to Craigavon Area Hospital for treatment and had to spend a significant time off work. Police arrived at the scene and saw Moffett who was dishevelled and they could smell drink on his breath. An evidential breath test gave a reading of 161 – the limit is 35. A solicitor representing the defendant said he was a man who had difficulties with alcohol but had been attending alcohol counselling since this incident. He added that Moffett had applied to move to Canada on a two year work visa. District Judge, Mr Mervyn Bates, said the reading was between four and five times the limit and one of the highest the court has had to deal with so it was a serious case from that point of view.